It happened on a Wednesday afternoon in June of 2016. The moment I laid my eyes on our newborn baby I knew I would never be the same again. Little did I know how being a Mom would change me. Now, here I am almost 11 years later and I absolutely love being a Mom. Here are three reasons why. I love being a Mom because God has used my kids to mold me and shape me to be more like Jesus. 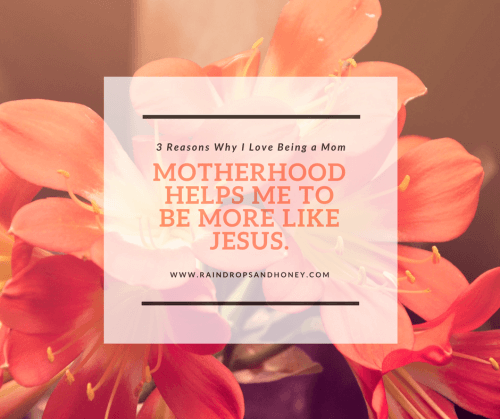 Motherhood has pulled so much stuff out of me that I didn’t know was in there. I didn’t think I was an angry person or struggled with self-control until I had kids. 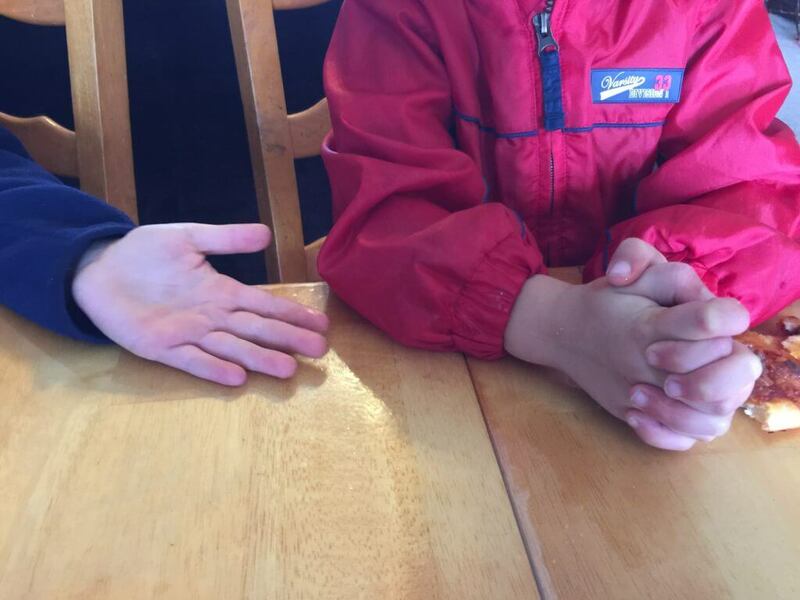 God uses my kids to lovingly call out things in me that doesn’t line up with His character. He is so gracious to do this. Another reason I love being a Mom is that I have the honor and privilege to speak truth over my kids’ lives. I often remind them that they are valuable and precious in God’s eyes. My kids will know that they are fearfully and wonderfully made because I won’t stop reminding them of that. I love being able to pour truth into my kids. I never want my kids to question their worth or value. One other reason I love being a Mom is that I have the privilege of teaching my kids about Jesus. First and foremost, I teach them that Jesus died to save them from their sins and rose again so they could have eternal life. Once they have made Jesus their forever friend, my focus is teaching them about God’s Word and the importance of being in the Word daily. As they read the bible, they get to know God’s heart even more. Another part of teaching my kids about Jesus is to empower them to teach others about Jesus. My desire is for my kids to share with others about the saving power of Jesus. Motherhood can be hard, but it is also one of the greatest blessings in life. I love how Jesus uses my kids to mold me to be more like Him. It’s a great honor to pour into my kids the truth of how valuable and special they are. I also love being a Mom because of teaching my kids about Jesus and the hope He gives. And then, they pass it on so others can know Jesus. What do you love most about being a Mom? Please comment below. I would love to hear your thoughts. Happy Mother’s Day!